While I was there, I also took the opportunity to take my own photographs of the exhibit. The exhibition took place in three parts. The first was on the exterior of the building where my work greeted visitors to the museum. The main display was in the upstairs gallery space. The final prints were superbly installed by the museum preparatory crew. To be surrounded by these individuals who I'd documented was truly a rewarding experience. Artist John Raymond Mireles is traveling to all 50 US states in his quest to visually compose a bridge between the racial, ideological, geographic and socioeconomic differences that divide our country. Using his Neighbors portrait series as his artistic vehicle, Mireles seeks to create an inclusive, expansive visual document of America through its people. 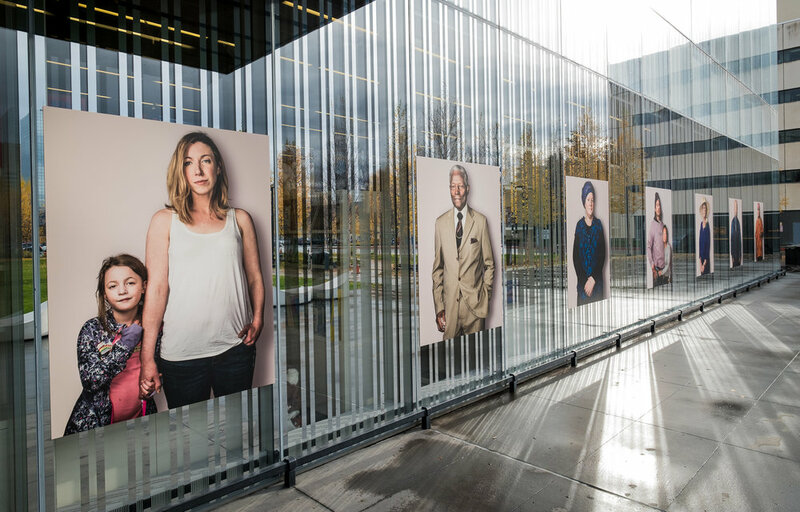 In 2017, Mireles visited Anchorage to document residents throughout the city, in the process taking 4,360 photographs of 529 individuals. By working with a diverse range of individuals, he creates a portrait of our national identity and reminds us of what it means to be a good neighbor—to help each other feel welcome, safe and recognized. 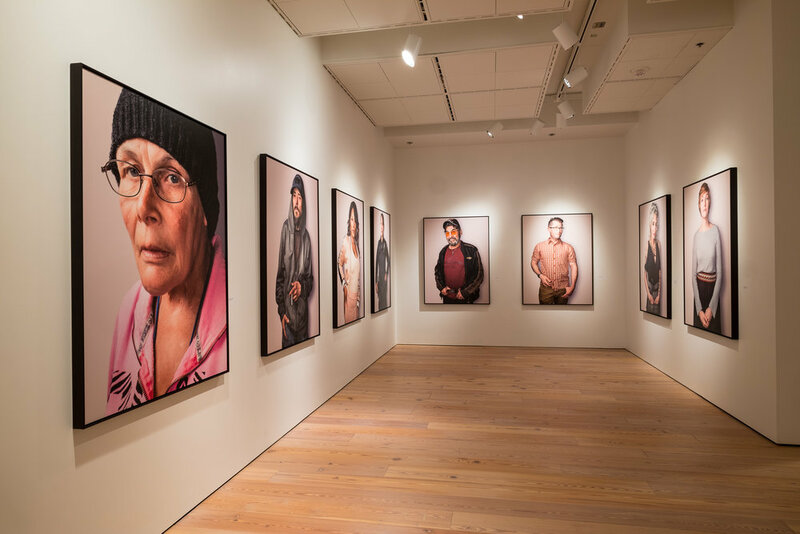 Mireles connects with his subjects up close and enlarges the resulting images to a larger-than-life scale. In this way, viewers are encouraged to intimately relate to and identify with the character of their fellow neighbors. 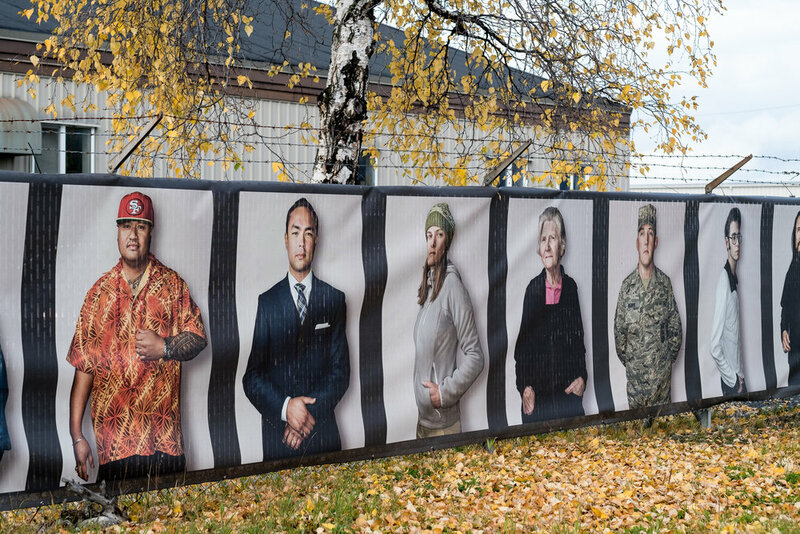 Finally, in the "wait there's more" department, the images were installed on a fence in one of the neighborhoods were I'd photographed. In keeping with the theme of my original Neighbors exhibition, the images were installed in a low income area where members of the community could experience them outside of a traditional institutional environment. I can't deny that I was sad to leave Anchorage. In my time there, I made some friends and fallen in love with the scenery. Before I arrived, the city seemed so foreign and distant. In leaving, it felt so familiar, a bit like home. The people are so friendly and the surrounding mountains never cease to speak to me. I can't say thank you enough to the people of Anchorage and the entire staff at the Anchorage Museum. What a great experience it's been.